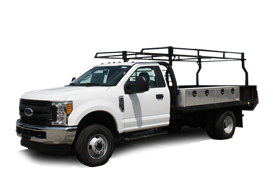 Built Ford tough, F-Series Super Duty trucks are capable enough to get the difficult jobs done. Details released on the upcoming 2017 Ford Super Duty models reveal that this year Pittsburgh, PA area fleets will see the most powerful and durable Ford Super Duty yet. Ford Super Duty models are the only pickup trucks in the industry to use high-strength military-grade aluminum-alloy for the body. The incredible weight-savings this allows has already been demonstrated in the new Ford F-150. The new Super Duty line reinvested those savings where it could do the most for fleets and businesses. 2017 Ford Super Duty trucks will use six times more high strength steel in the construction of their frame than 2016 models, bringing the total up to 95%. Completely unique to the new Super Duty, the completely redesigned frame has up to ten through-welded cross members, making the fully boxed frame 24 times stiffer. This means less noise and vibration, and reduced harshness. Even when supporting more than 60,000 lbs., the new Super Duty frame shows no signs of bending or strain. 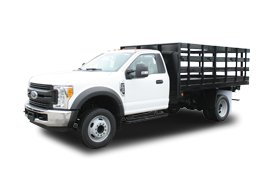 Let nothing get in the way of the job that needs doing: choose the 2017 Ford Super Duty for your fleet or business serving the Pittsburgh area. 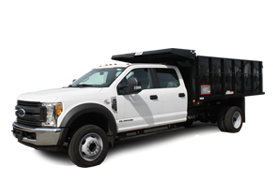 Contact our commercial truck dealer at (855) 996-0725 or through our online contact form to learn more about the improved handling and capability of the newest Super Duty, as well as the custom upfitting services we can provide.